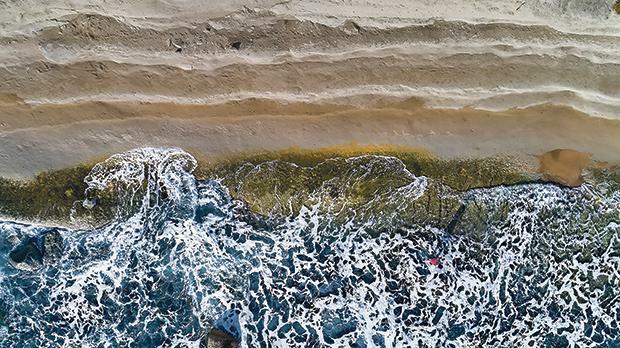 Photographer Daniel Cilia has produced an alternative view of Gozo in a series of curious shots from atop cherry pickers, helicopters and microlight planes. 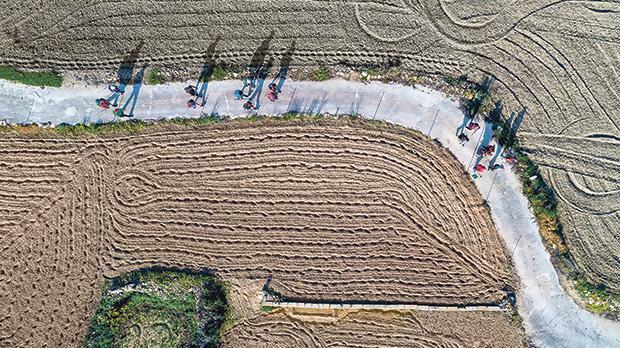 Visitors to Cilia’s exhibition, An Eye in the Sky over Gozo, may wonder what the patterns – sometimes symmetrical, at other times pleasantly irregular – represent in reality. 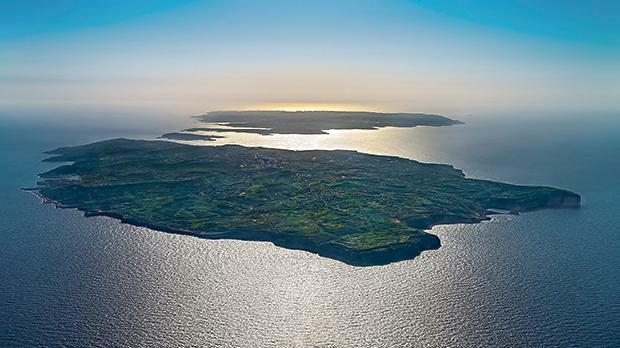 Over the past decades, the photographer has flown several times over Malta, Gozo and Comino for clients who needed specific aerial photography. But whenever he flew over the archipelago, Cilia felt continually presented with new themes and fresh ideas that provided a constant, fascinating source of inspiration. At times, he could not help but shoot an image or two for his personal photo library, hoping that one day he would be able to collect them in book form. 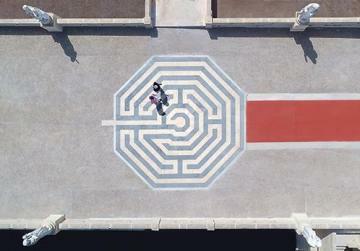 The labyrinth-patterned mosaic at the entrance to the parvis of Ta’ Pinu church at Għarb. 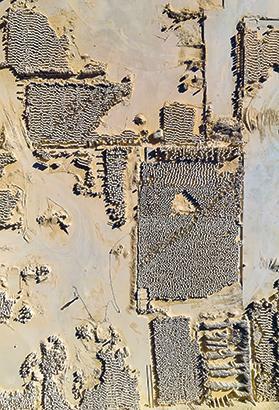 His collection includes shots from a two-seater helicopter, various two-seater, four-seater, and eight-seater planes, open and closed microlight planes, flying cameras and the occasional cherry picker. 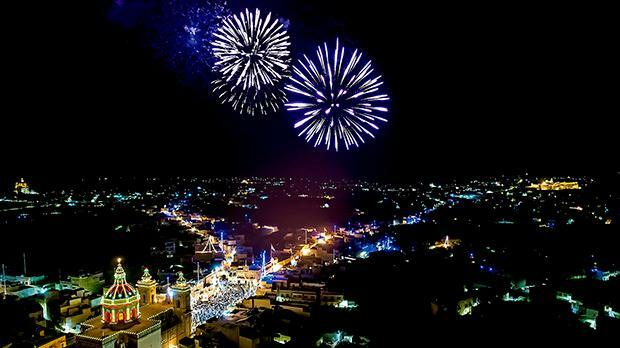 Some of the shots have made it to An Eye in the Sky over Gozo, which is being held until July 17 at the Il-Ħaġar (Heart of Gozo) Museum, as part of the Victoria International Arts Festival. In the accompanying catalogue, Cilia tells viewers that looking at Gozo’s familiar places with his ‘eye in the sky’ will at times tease them into “trying to figure out where and what they are looking at, so unusual is the angle that drops perpendicularly from the empty air above us”. 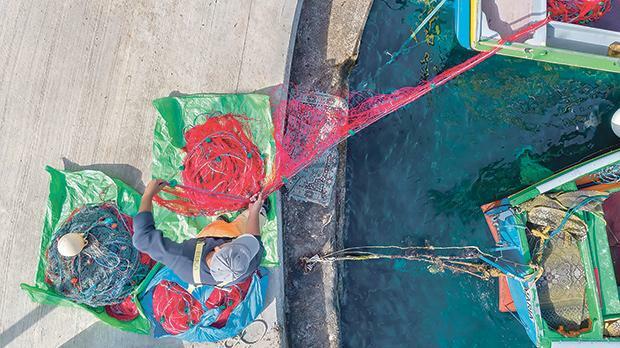 A fisherman at Marsalforn harbour gathering his multicoloured nets. 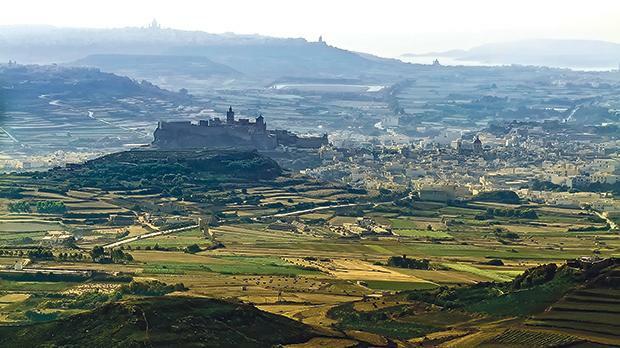 Gozo from the air, silhouetted.